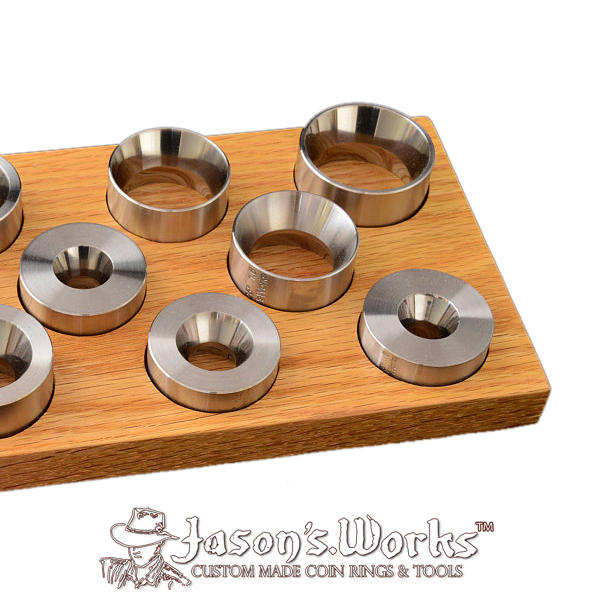 By popular demand, now you can store your folding/reduction dies to organize your workspace. 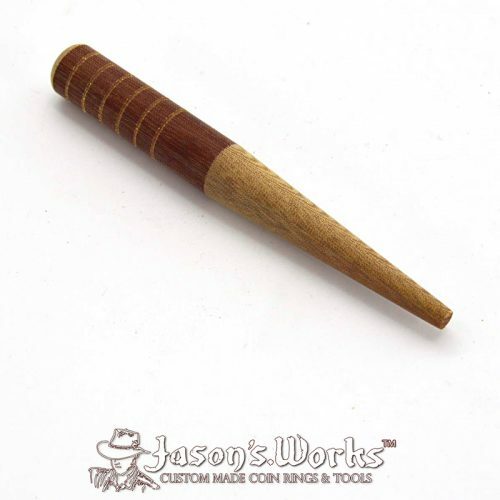 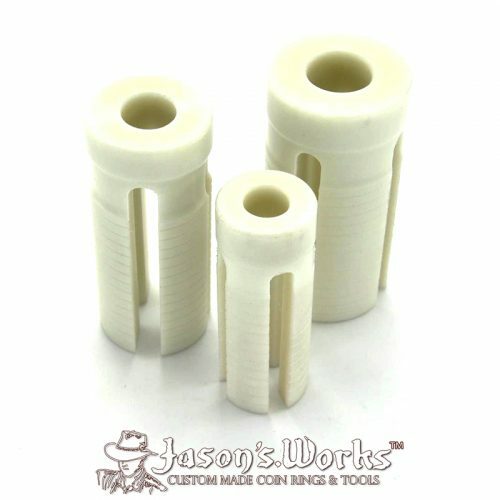 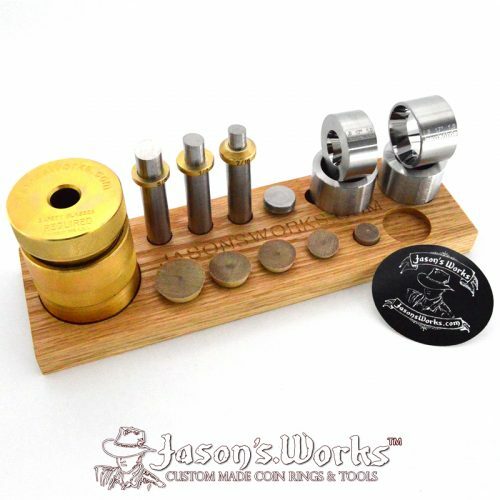 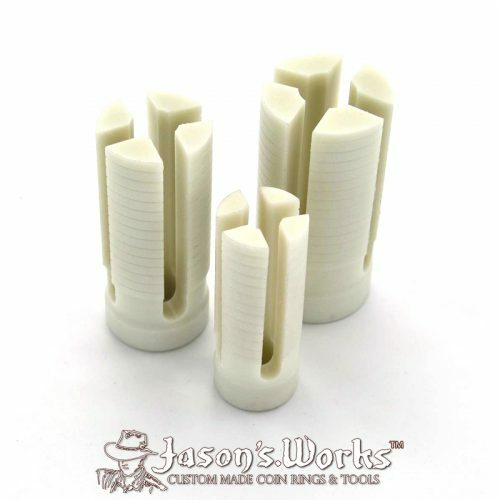 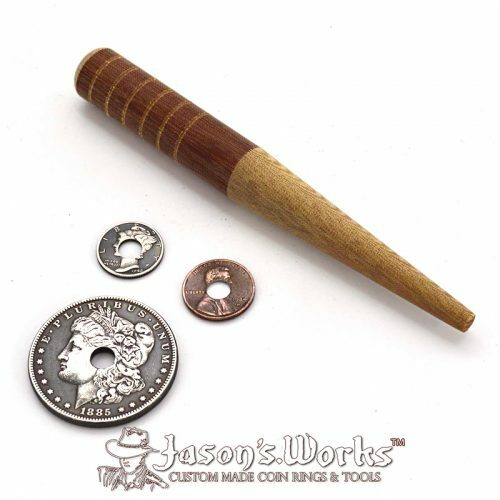 Made from high-quality red oak, this tool holder will hold up to 11 reduction dies for easy access while making your coin rings, including the 1.7 x 1.8 @17 degree BIG boy die. 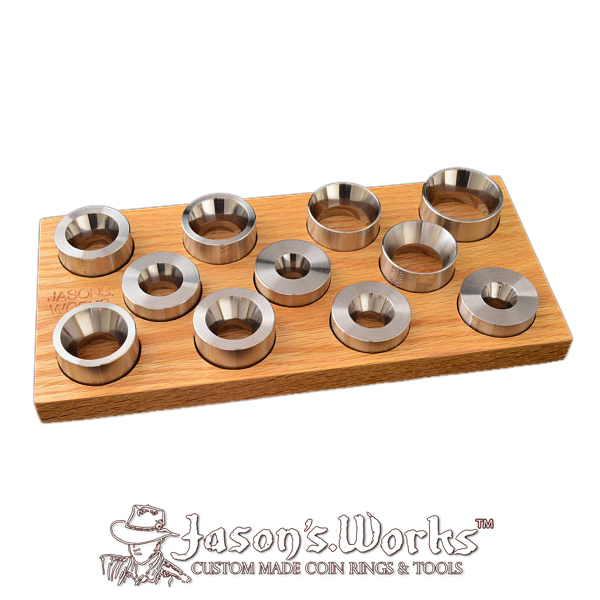 By popular demand, now you can store your folding/reduction dies to organize your workspace. 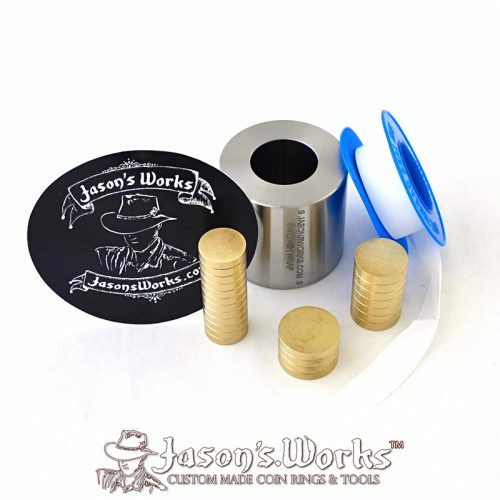 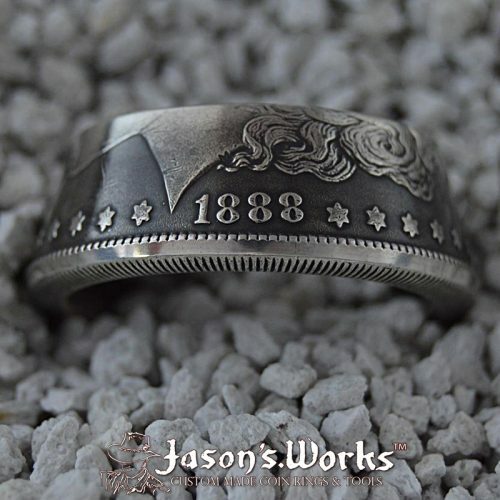 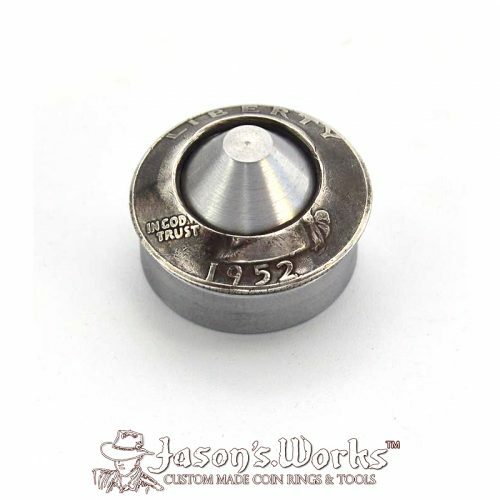 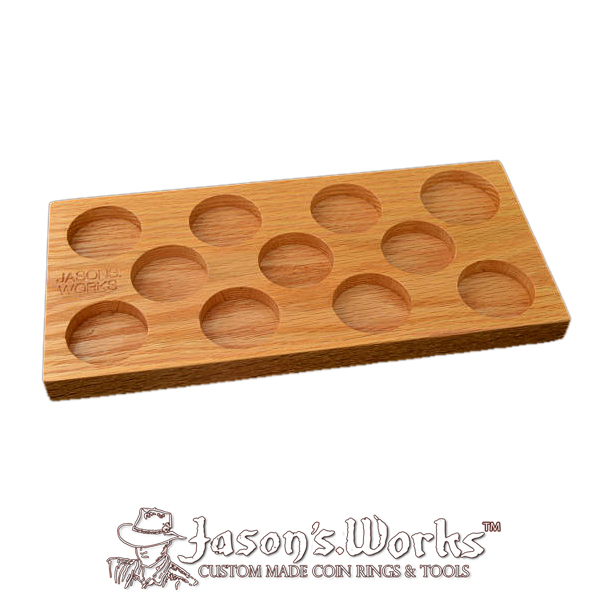 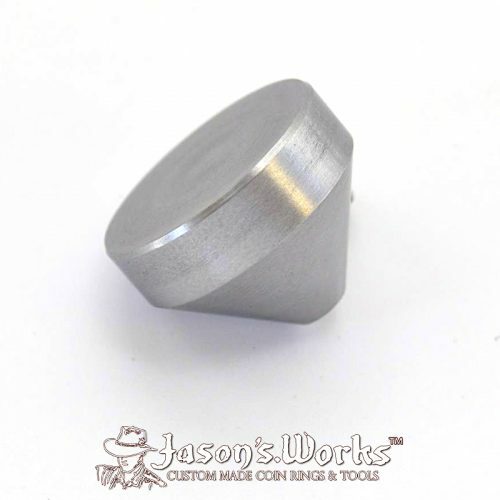 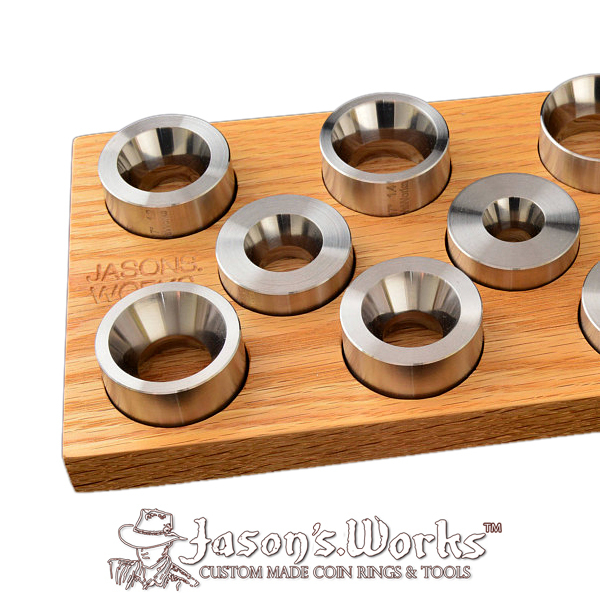 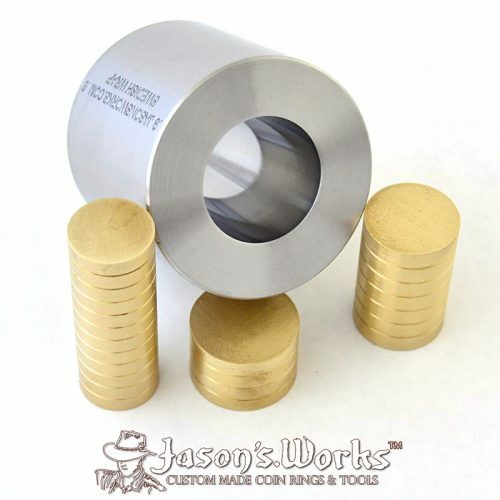 Made from high-quality red oak, this die holder will hold up to 11 reduction dies for easy access while making your coin rings, including the 1.7 x 1.8 @17 degree BIG boy die.